CONNECT PhD researcher, Marco De Donno, explains IoT to a visitor. 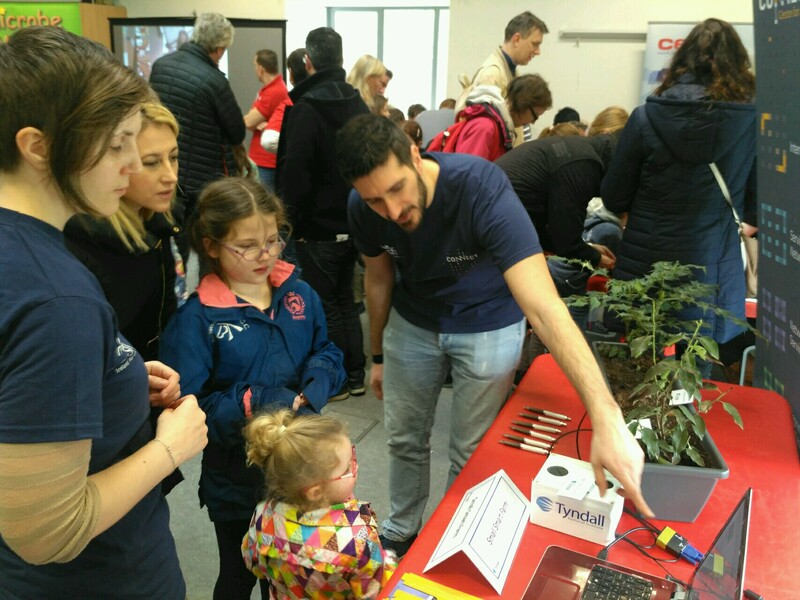 CONNECT researchers at Tyndall National Institute were part of this year’s ‘Meet the Engineers’ event at Cork’s Lifetime Lab. The family-themed event took place as part of Engineer Week 2017. Children and adults were able to enjoy a series of stands and activities exploring different types of engineering. Activities included programming VEX robots, LEGO construction challenges, snap circuits, and engineering trails. The CONNECT stand provided an introduction to wireless sensors. 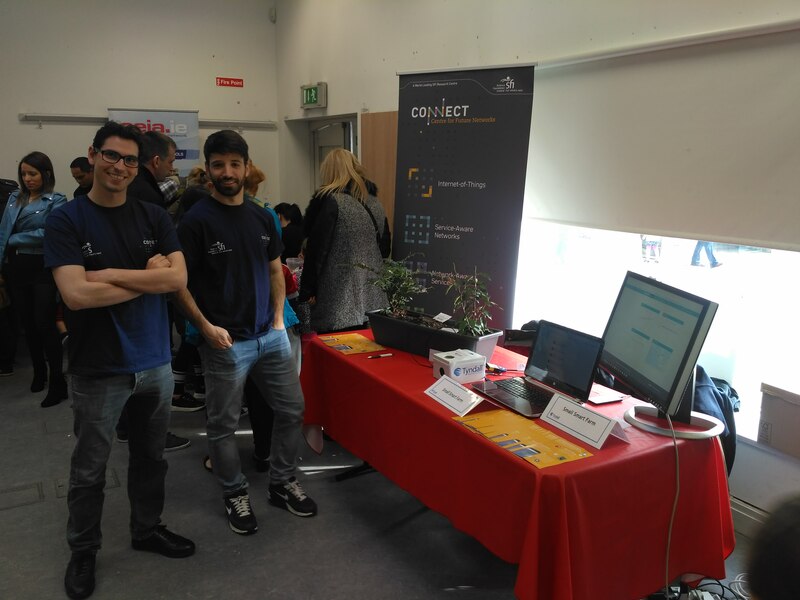 Well done to CONNECT researchers Giovanni Cristiano, Marco De Donno, Rosemary O’Keeffe, Salvatore Tedesco and Andrea Urru who volunteered at the event, and to Alida Zauers who coordinated the CONNECT presence. 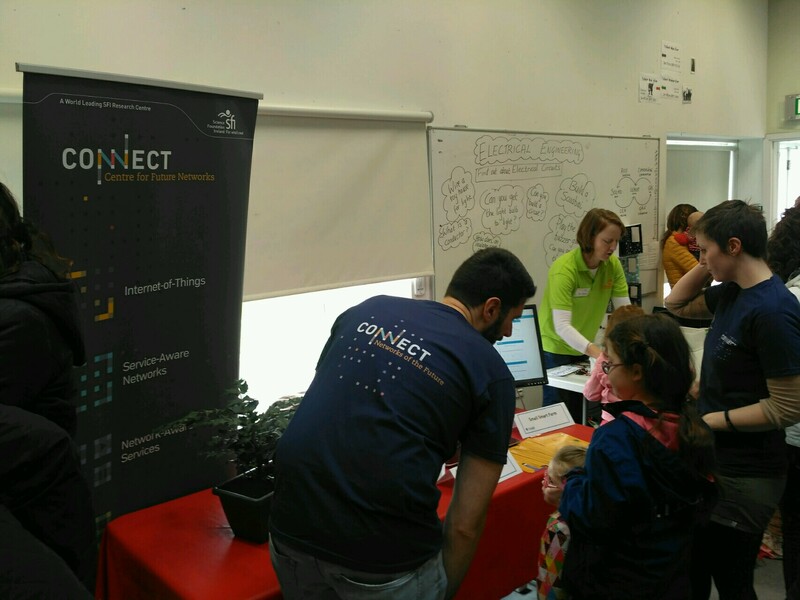 CONNECT researchers Rosemary O'Keeffe (left) explains IoT with Marco De Donno at 'Meet the Engineers'. Two CONNECT volunteers, Salvatore Tedesco and Andrea Urru at 'Meet the Engineers'.